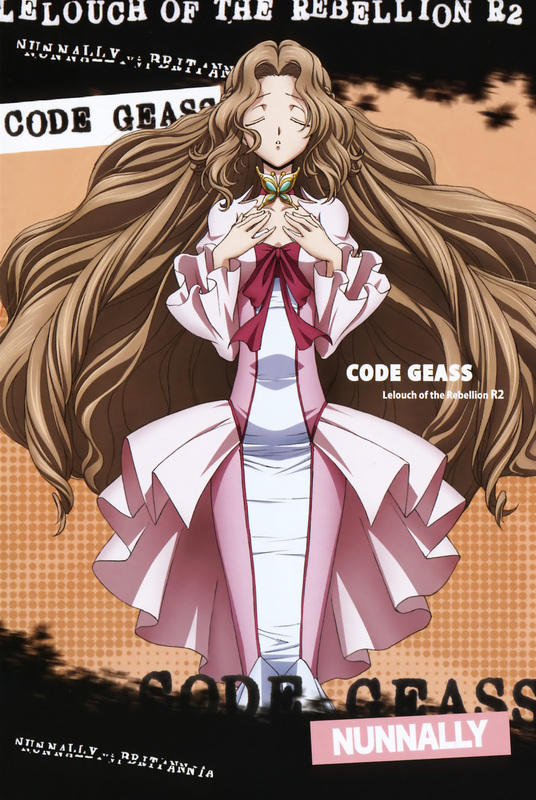 Nunnally looks DIVINE!~ I can't wait to see her in Code Geass R2! Anywho. Thank you very much for sharing! Nunally! It's great to see her again! You just don't see her enough so this is just great! Thank you and yes, very cute and adorable! I HAVE TO SEE EPISODE 6 NOW! BTW, THIS SCAN IS GREAT! n if possible, i wanna find a pic of nunally when she was young. thanks for the scan, tis lovely! Nunally so beuty and cute! >o< Wowwow~~~ She look like princess >< thanks for nice pic ! Like Her Dress , Hair , Pose ! Great image, thanks for posting. Thank you for sharing this awesome pic. ? that hair looks very cool.I like this one. all the costumes in this anime, especially Lelouch's in the second half, are totally badass!